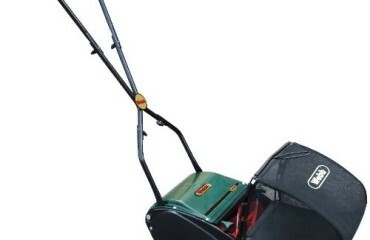 As we said in a previous Hayter mower review in this same petrol mowers category, we like Hayter mowers. We have found them to be reliable and perform very well in the garden. Let’s take a closer look at this model, the Harrier 48 with a rear roller and self propelled. Most users are very pleased with this Hayter mower and it seems to be those who opt for this option have used Hayter previously. The general consensus is that the mower does a superb job and with the ability to adjust the cutting height to such a low setting when compared to other mowers it is ideal for getting the perfect finish you want on your flat lawn. Although there have been reports of some issues, these are rarely seen. If any issues arise, you have a 5 year warranty and a lifetime warranty on the engine crankshaft so you can rest easily. Also, when buying through Amazon you know that you are covered. Users also love the option of controlling the speed at which the machine self propels itself, which is great for those who want to walk more slowly or when the grass gets a little long and you need to slow down a little. The improved grass cutting collection on this model has helped ensure that there are no leaves or debris left behind the mower and on your lawn. 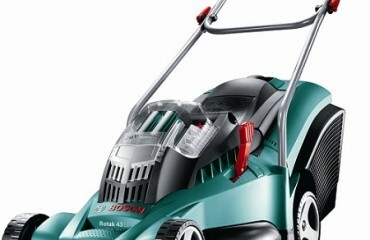 We are great fans of the Hayter range of mowers because from our own experience we know that they last a long time. This Hayter Harrier 48 is a more expensive model in the range because it comes with a variety of features, such as the variable self propelled speed, which other models and mower do not have as standard. Many people love this feature because it means you can adjust it to your personally preferred speed and it’s also handy to use over variable terrain. Another great feature is the fact that you can adjust the cutting height to a very low level. This is really good if you have a flat lawn which you want to make look very presentable. 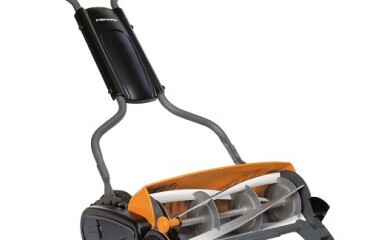 Furthermore, the rear roller gives you the ability to make beautiful stripes in your garden lawn. This luxury Hayter mower delivers a great finish for a perfect lawn and has some great features that make it worth the money.